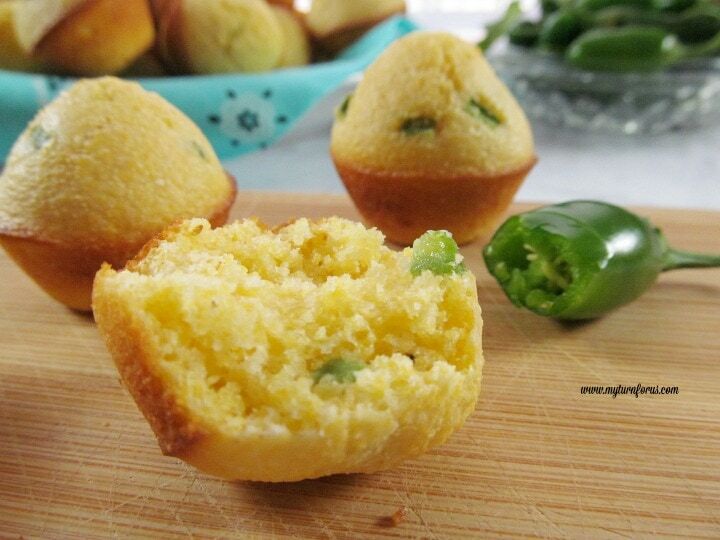 We are in love with these cornbread mini muffins with jalapeños here at the ranch, especially during the winter months but we didn’t always make mini cornbread muffins. 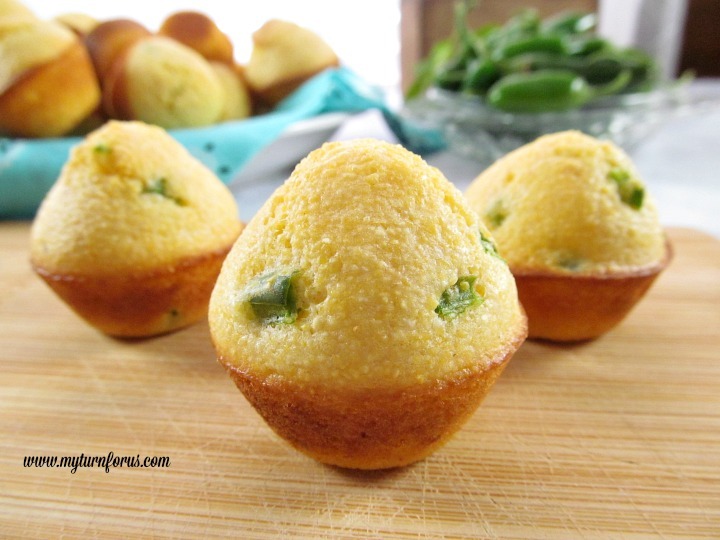 A couple years ago I had invited friends over for dinner but then discovered I had only about 1 cup of cornmeal and I wanted to make cornbread. 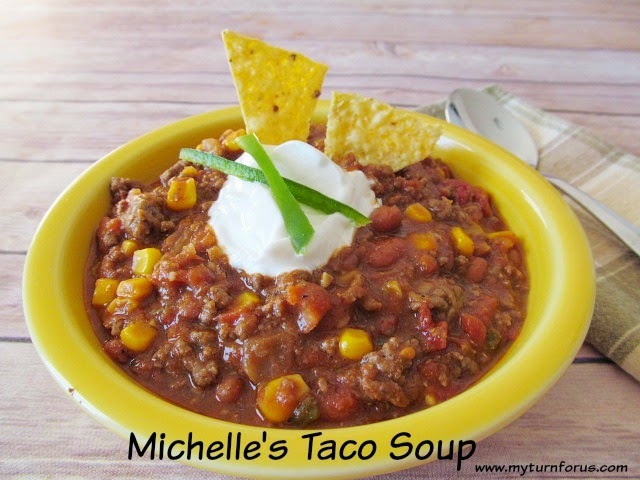 How do I stretch one small recipe for 6 people? If I made a pan of cornbread, I would have to cut the pieces so small that it would just be a pile of crumbles. You know the feeling, you wish to serve your guests plenty but you’re not sure just how to stretch it? But then I remembered I had a mini muffin pan somewhere in the cabinet and I actually found it. Aww miracles! 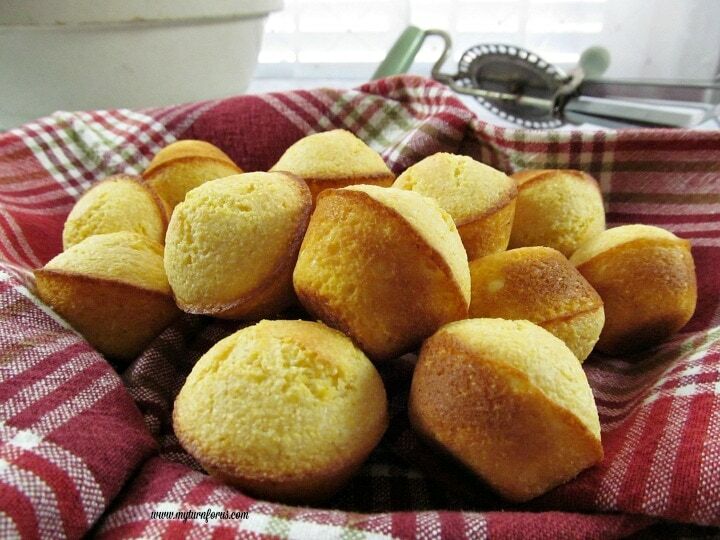 And after that one little cup of cornmeal was gone, I had what appeared to be a pile of cornbread muffins. Yes, I do have my moments! Compared to a quarter, aren’t they just the cutest little guys? Everyone can take 2 or 3 of these without the danger of running out. And I do believe they taste better, maybe it’s because of all the crust on each mini muffin. I always did like the corners of the cornbread the best. If you wish to shake it up a little or should I say spice it up a little, then add a couple diced jalapeños. 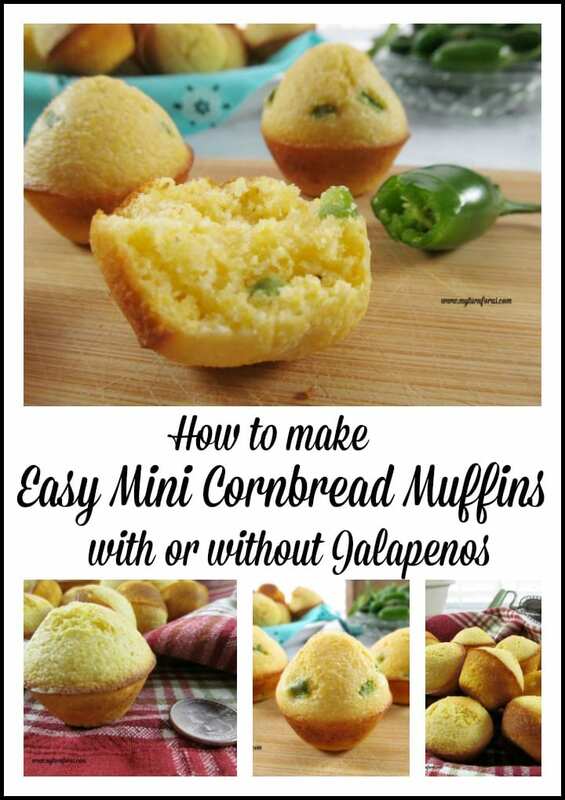 You could also make two batches, one with jalapeños and one without, if you have more than one cup of cornmeal. 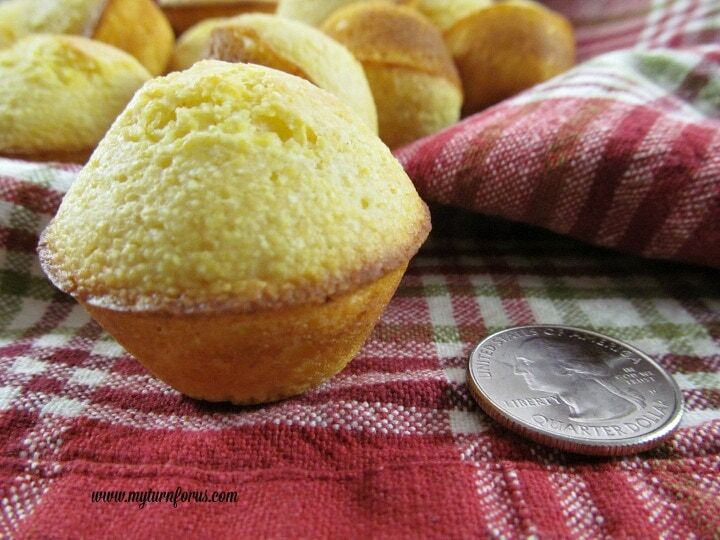 Compared to how long I cook cornbread to how long I cook mini cornbread muffins, I have also saved some time. 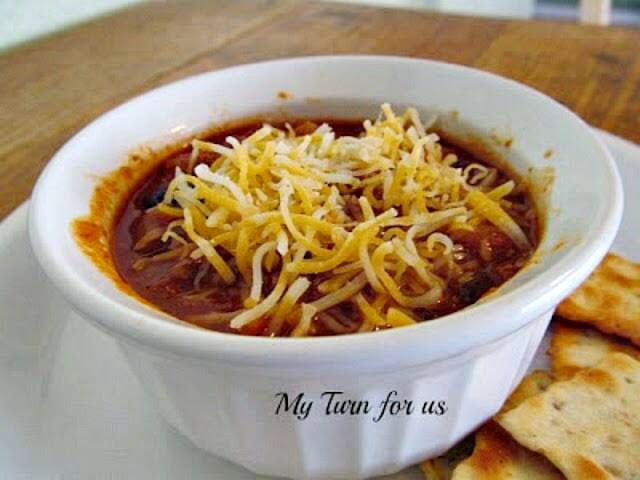 Or if you are not cooking for guests, the leftovers can be frozen and pulled out of the freezer all winter long to have with soups, stews or just with our Texas pinto beans. 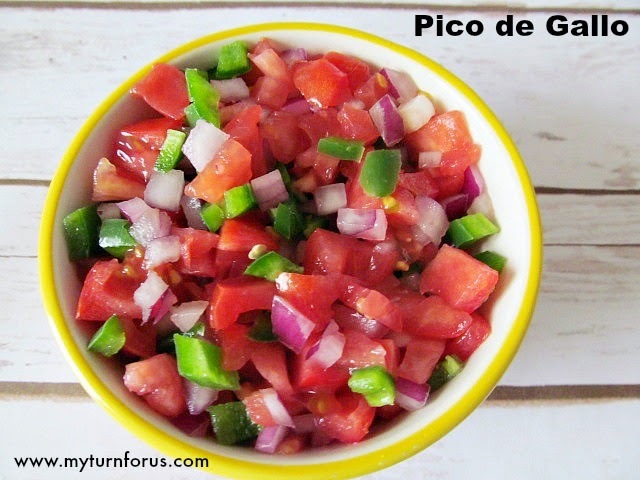 Now those are easy ideas for an easy recipe.